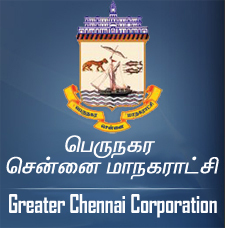 The Greater Chennai Corporation is the civic body that governs the city of Chennai, India. It is headed by Mayor, who presides over 200 councillors each of whom represents one of the 200 wards of the city. "The bribery is against the Law. The complaints about corruption may be sent to the Directorate of Vigilance and Anti-Corruption, Chennai-28. " © 2008 Greater Chennai Corporation.